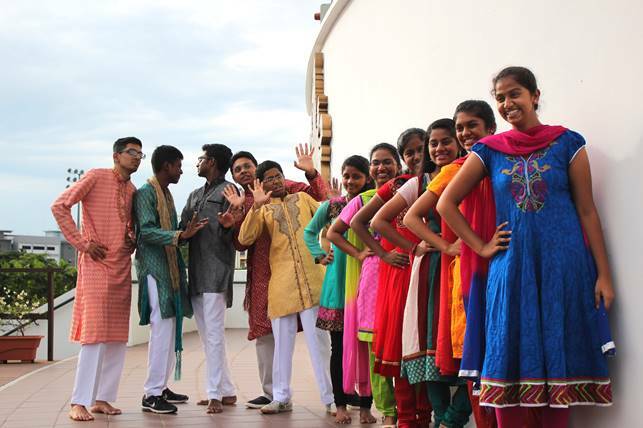 The Indian Cultural Society (ICS) is all about culture, tradition and fun. ICS organizes a plethora of activities and events for our members to feel involved in the Indian community. To kick-start the year, we have an orientation day camp for all our new members so they can bond and get to know each other. We also provide opportunities for our members to give back to the community and help people in need. In collaboration with SINDA, we organized an Amazing Race at the Jurong Bird Park for underprivileged children. Our members had an enriching yet fun time interacting with the children through the various station games and activities. Moreover, the year wouldn’t be complete wouldn’t be complete without Sangamam – our very own annual cultural production. It’s one of the main highlights of our CCA and our members come together to showcase their various talents such as singing, dancing and acting. Sangamam 2014, a murder-mystery drama with a twist garnered a positive reception amongst the Indian community. For many members, this is the most memorable event of the as they get to bond with their friends and people with similar interests. Other than just the Raffles Indian community, members will also get to be involved in the wider Indian community by participating in SINDA Youth Leaders’ Seminar and Yishun Junior College Seminar. Members can also attend the Seminar of Tamil Writers in 2015, organized by ICS in line with the Tamil Language month, and gain insights from prominent figures in the Tamil community. CCA meetings are held weekly/fortnightly on Wednesdays or Fridays, and more frequently when our events draw closer. Check out this link and this one for videos on some of the events we have. Join ICS, a close knit community of culture, tradition and fun.